Yesterday's weather was great. We took our usual walking routine, suddenly rode a bus. It was Anzu's first time to ride a bus and she never gave me a hard time. She's behave and looking around the other passenger, even smiling at them. The bus driver was so nice, he carried Anzu's stroller inside and even put a belt in it for security. SO there, we stopped at a station and had my late lunch... SO yummy and cheap. I spent ￥１０００　($10) for a cake, pasta, and drink. After a yummy meal, time for a leisure walk. We window shopped and saw a big sale for halloween costumes. SO glad there was still available size. That's how we spent our friday afternoon. waaaaa...10 bucks for all of that? geeze...where can you find that here in the US....so yummy! 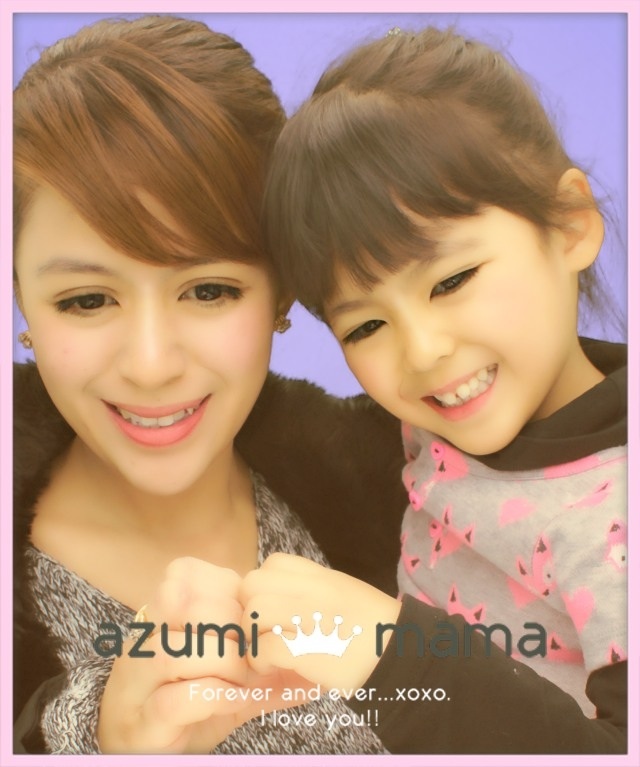 hello anzu hello mommy bamz. Ang dami ko ng na missed sa blog niyong 2. Sorry ngayon lang ulit ako nakapag blog pero hindi na gaya ng dati back to normal kasi umpisa na ng paghahanap ng work. Buti pa kayo ni anzu nakakagala pa kayo. Ang cute nasakay kayo sa bus ako never pa as in. Na miss ko kaung 2.
yummy pasta! happy halloween mami bams! Sarap naman ng pagkain mo and yes, it's really cheap for only $10, complete meal na. It must be pretty exciting that your baby got her first bus ride. It must have been a wonderful experience for her. Your quick lunch may be quite cheap by Japan's standards but expensive when converted to pesos. Is there a Halloween celebration in Japan just like what they do in the US and other western countries. Happy Halloween to you, Anzu and your husband. Thanks for the post. God bless you always. Finally!It's Sunday!Time for my blog hopping 'though I started yesterdat night pa but ran out of time to make it in here hehe.Maluluma si Snooky Serna sa kapagungan ko hehe. I like your new layout Bams soo cute! Well,yan ang kagandahan dito sa Japan maganda ang serbisyo nila public or private man.Ang sarap ng lunch natin dyan ah added here behaved talaga si Anzu chan during your date together. Wow ang sipag ni mommy to walk baby Anzu, at napaka bait ng baby girl, not fussing in her frist bus ride. People there are all nice i bit. 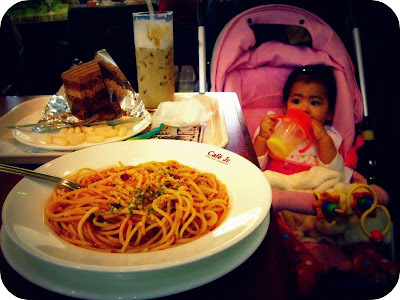 And the food mommy bamz are all delish yuuum love the spag. The sphag looks delish Bams.. Buti di pa malamig dyan, super lamig na dito eh.. May 2-hour lay over pala kami sa Narita on Dec. 2, kung medyo matagal sna puntahan kita hahaha.. Thanks for the comments, nag enjoy ako kakabasa hehehe.. All my FTF entry is in my Spice up your Life blog.